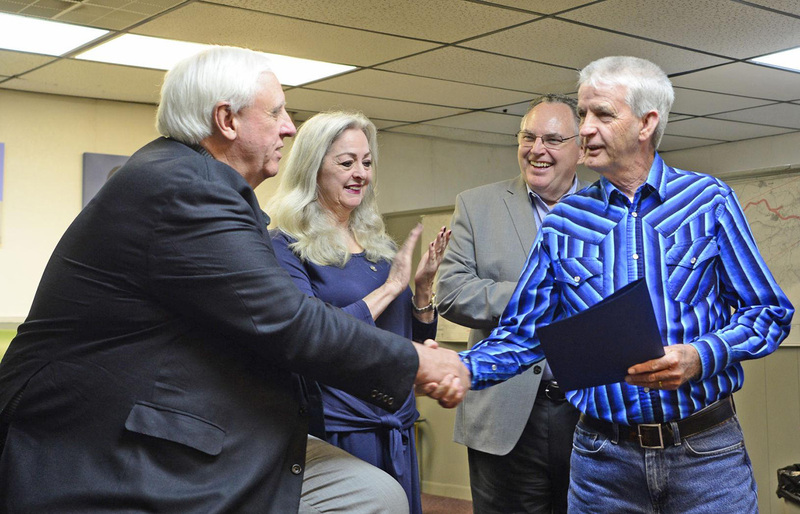 West Virginia Governor Jim Justice shakes the hand of Bradshaw’s mayor Ervin Horn after announcing a grant for 1.5 million for a sanitary sewer upgrade project. WELCH, W.Va. — West Virginia Governor Jim Justice announced Thursday the award of $3.43 million in federal funding for broadband, water and sewage projects in McDowell County. “Today we’re giving away a bunch of money down here and that’s really good stuff,” Justice said during a stop in Welch. Justice said the funds are part of the $13.1 million in federal Community Development Block Grant (CDBG) dollars that have been dedicated for various water, wastewater and broadband improvement projects throughout West Virginia this year by the United States Department of Housing and Urban Development.